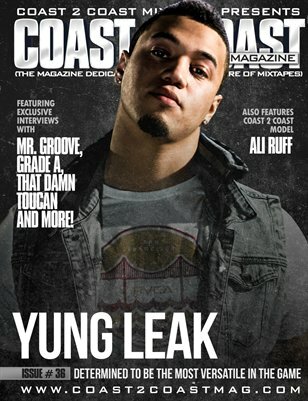 The all-new issue of Coast 2 Coast Magazine features Yung Leak, That Damn Toucan, Mr. Groove, Ali Ruff and more! The issue also includes our regular features: New Industry Tips, Independent Hustlers, Mixtape Reviews, and Rep Your City.